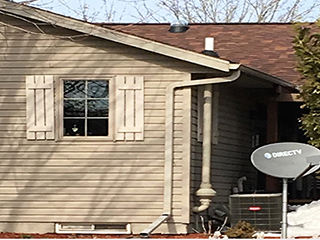 Radon mitigation is any process used to reduce radon gas concentrations in the breathing zones of occupied buildings or radon from water supplies. Mitigation of radon in the air is accomplished through ventilation, either collected below a concrete floor slab or membrane on the ground, or by increasing the air changes per hour in the building. Treatment systems using aeration or activated charcoal are available to remove radon from domestic water supplies. 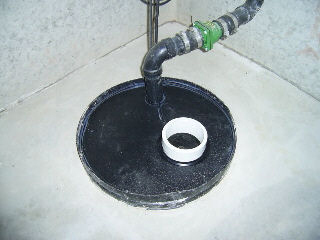 Covering a submersible sump pump increases the reduction of radon gas. 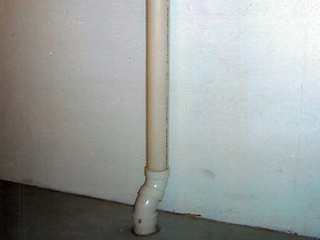 A suction pipe draws the radon gas from below the basement floor. 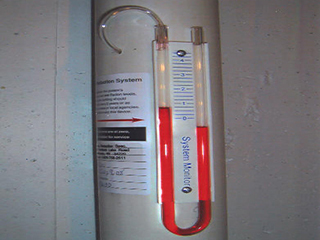 A manometer measures fan activity to ensure the radon mitigation system is working properly. 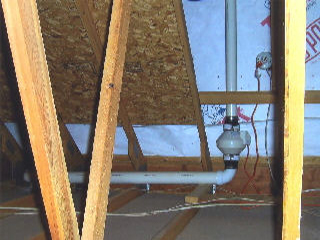 Fan assembly in garage/attic draws radon gas from below home and sends outside. Radon gas exhaust. 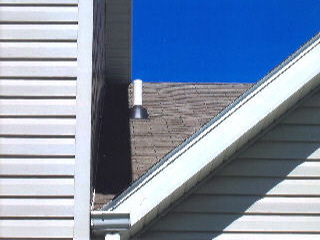 Roof penetration shown here. Same concept as inside, but mitigation system installed outside. 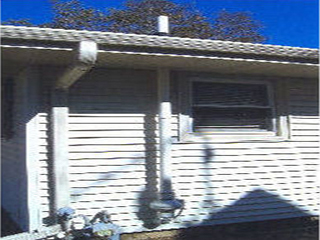 PVC pipe comes in white, but can be painted to match home color.